For more photos, visit the kirtleyscientific flickr page. 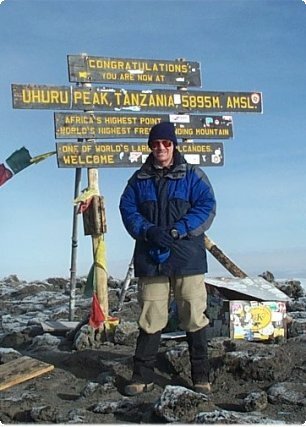 John on top of Mount Kilimanjaro. Kathy Kirtley in Grenoble, France. We visited the CNRS-CRTBT March-May 1999. 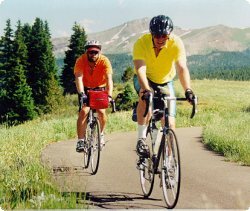 In 1998 John (in yellow) completed the Triple Bypass in Colorado. Struggling desperately to keep up is Reuben Collins. 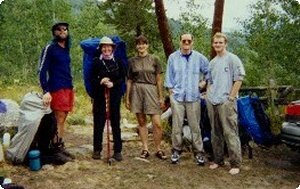 Reuben Collins (left) and Kathryn Moler (center) hike with the Kirtleys. See Reuben's web page created for John's 50th birthday. 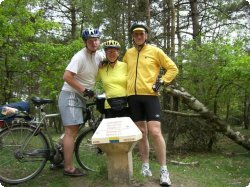 David, Kathy, and John bicycling in the Netherlands. 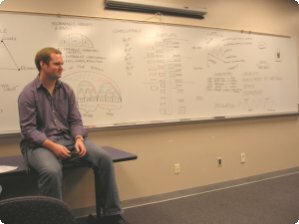 Fiction writer David Barr Kirtley gives a lecture on plot at the 2006 Alpha workshop. 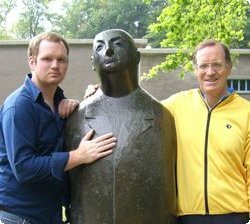 David and John at the Kröller-Müller museum, Netherlands.